Many parents have first-hand experience of growing up in a shared kids bedroom. Whether space is limited in your current home or you are hoping to encourage your kids to learn how to share, shared rooms can be a great way to teach patience, taking turns, cooperation, team-work and many other important social skills. 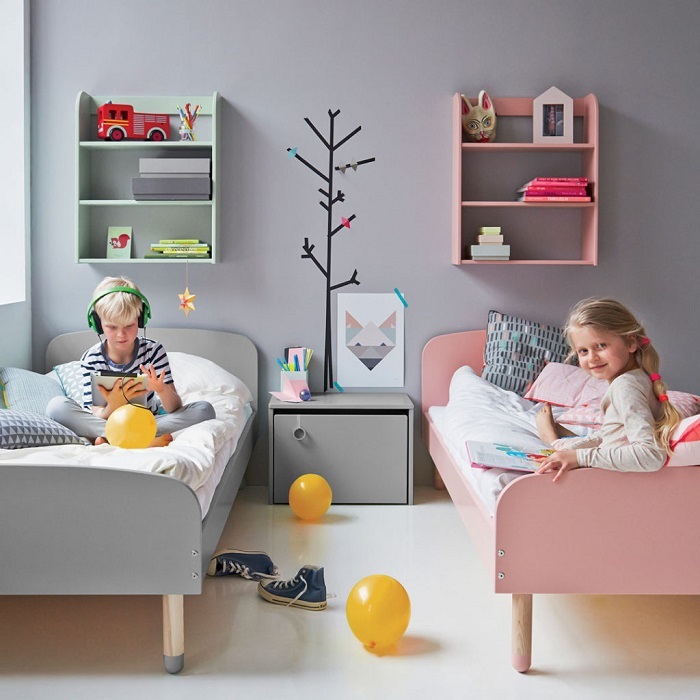 To help you get started, read our tips on how to create the perfect shared kids bedroom. There are a few different ways that you could plan out your shared kids bedroom. Try one of the following layouts to find the perfect way to share space with minimal stress. Bunk beds are without a doubt one of the simplest options, even if it means inevitable squabbles over who gets the top bunk. As a general rule of thumb, it is mostly the eldest who gets to claim the top bunk. What makes bunk beds such a practical solution is that they can easily fit into even the smallest of rooms without taking up too much space. A three sleeper bunk such as the Adventure Bunk shown above will offer an additional bed for overnight guests or for rooms shared by three kids. The third bed slides out and can also be used as a daybed or even to store extra blankets. Another option is twin beds. This can even work with two bunk beds if space allows. Two single beds will fit into most standard sized bedrooms, with a variety of configurations to choose from depending on your requirements. Beds can be placed alongside each other, positioned against walls, placed head-to-head or positioned on opposite sides of the room. The versatility of this configuration and the ability to move kids beds around as needed makes it popular with many families. One of the biggest challenges in a shared room is privacy. There are a few ways that you can create privacy in a shared bedroom. Curtain rails can be set up, with curtains placed around beds or in the centre of the room, which effectively divides the room into two halves. You could also use bookcases, wardrobes, dressers and shelving to section off areas quickly and easily. For best results, make sure that you either have a shared common area for playing and homework or ensure that each section has enough space for a bed and a desk. With a little creative thinking, planning a shared space does not have to be too challenging. 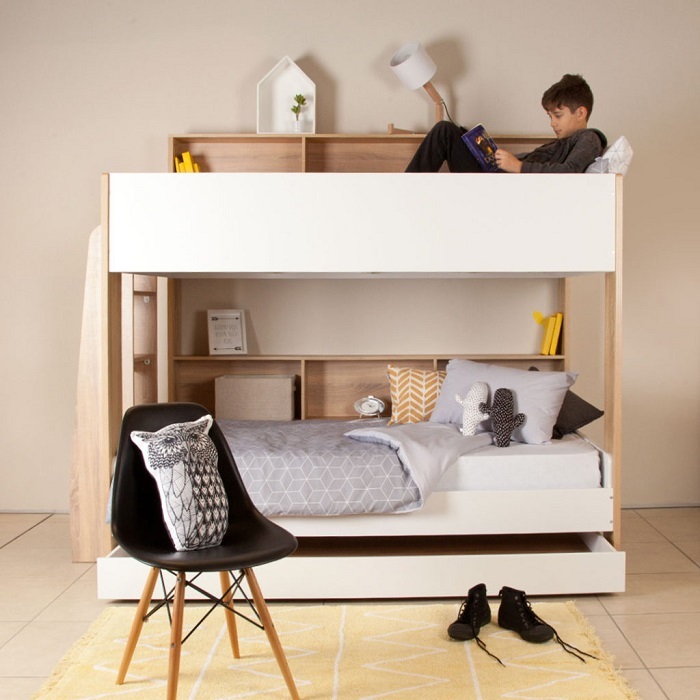 Browse the variety of beautifully made single beds, bunk beds, shelving, dressers and other high quality kids furniture available at Clever Little Monkey to start planning your shared kids bedroom now!